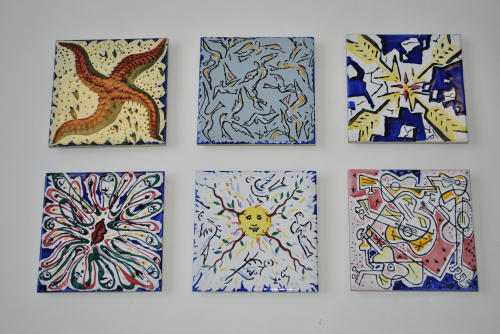 Complete set of 6 ceramic wall tiles. Manufactured in Spain in the 1950`s by ADEX based on a set of watercolours by Salvador Dali. Each of the tiles has a separate title and is signed to the front. The tiles have been framed to the reverse and a wall fixing attached, enabling them to be displayed on a wall.